Weather is expected to improve from today (July 20th) onward, as teams finalize their summit-bid plans. 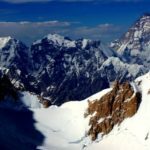 Bad weather halted climbing activities on all 8000m peaks for a week. Apart from usual snow, clouds and strong wind at altitude, teams reported that it rained at Base Camps; an indication of warmer conditions. 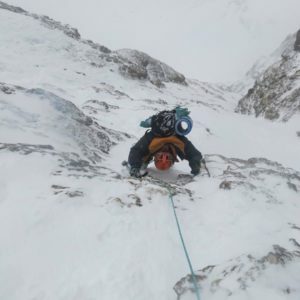 Warmth and snowmelt make climbing difficult and dangerous. Weather is expected to improve from today (July 20th) onwards, as teams finalize their summit-bid plans. 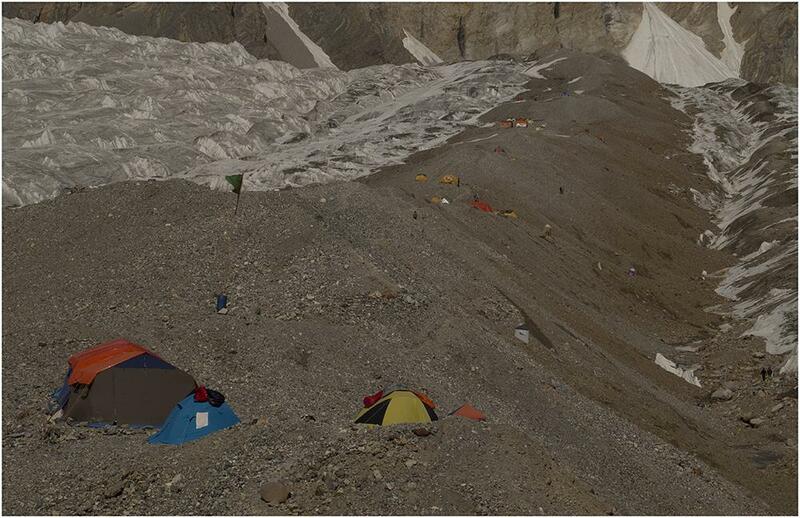 Around 18 climbers and HAPs will be starting summit push from Base Camp, tomorrow. 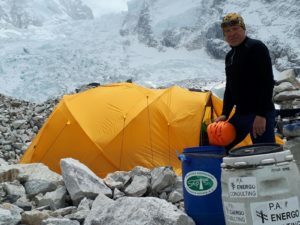 They plan to climb directly to C2 (6200m), spend a night in C3 (7000m) and possibly establish C4 somewhere between 7500 – 7700m, depending upon actual conditions as teams move upwards. This means Saturday and Sunday are potential summit days. Weather is predicted to remain favorable till July 26th. 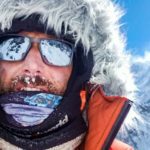 There are only two major expeditions on Broad Peak, this year; an international expedition led by Oscar Cadiach and five-member Mountain Professionals team. 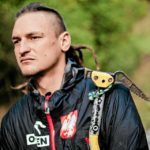 Oscar Cadiach has climbed thirteen eight-thousanders without bottled oxygen thus far and intends to complete the 14x8000ers quest this season. 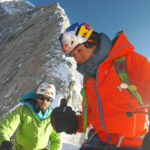 Oscar’s team include fellow climbers Lolo González, Iñigo Castiñeyra, Icelandic Ásgeir Jónsson, Australian Gilian Lee, lady climber Rosa Fernandez Rubio and Javier Campos. 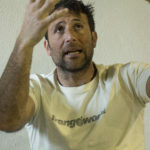 A member of expedition, Jonatan García, will be evacuated from BC today as he developed a clot of blood in his leg. Mountain Professionals team consists of Benedicte Gude, Gaute Teigen, Stephan Mertesdorf, Tomas Ceppi and Ryan Waters. 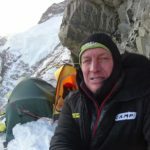 Broad Peak has already been summited earlier this season by strong Slovenian alpinists Aleš Česen and Luka Lindič, who will now attempt GIV West Face. 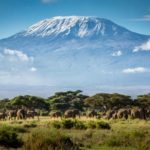 The mountain is said to be in good climbing condition, this year. 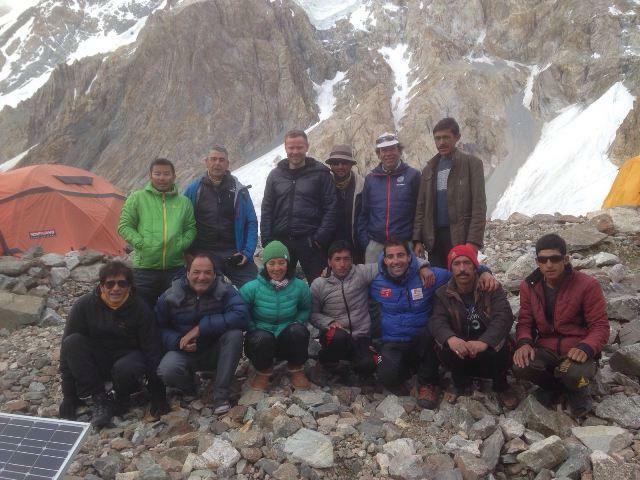 It’s a critical stage for Nanga Parbat climbers. After two failed summit attempts via North Face, the focus is back on Kinshofer route where ropes have been fixed till C2 (6100m). 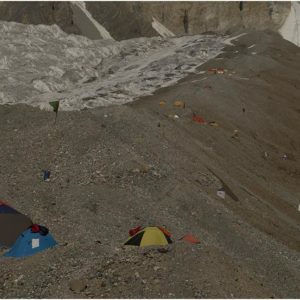 However, an avalanche swept away a portion of ropes between C1 and C2 couple of days ago and destroyed multiple tents at former camp. 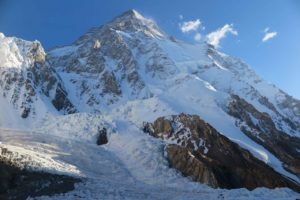 Considering overall bad climbing conditions, increasing temperatures and lack of resources, chances of Nanga Parbat ascent are quickly exhausting. Nonetheless, climbing action is expected to resume today. Teams will assess damage caused by avalanche and devise plans for further ascent. 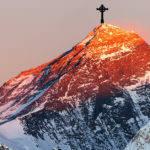 Apart from Kim Hongbin’s Korean expedition and a team of Korean-Chinese-Taiwanese climbers led by Kim Migon, there are a couple of small groups at BC; Spaniards Fernando Fernández Vivancos and José Saldaña Rodríguez, and second summit attempt climbers Ferran Latorre, Helias Milerioux and Boyan Petrov – the Bulgarian who’s climbing partner Ivan Tomov left BC after first summit-bid due to altitude sickness. 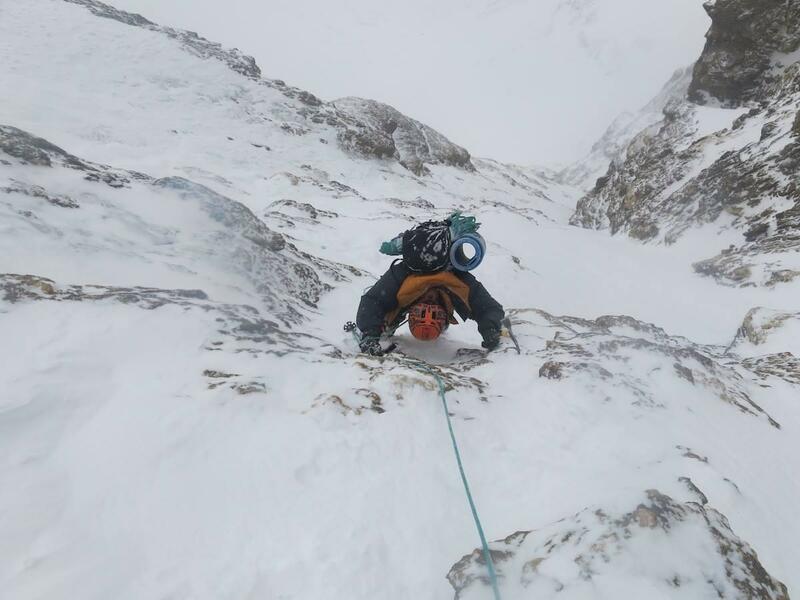 Difficult conditions on Gasherbrum peaks forced ambitious climbers to revise their plans. 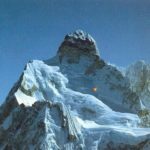 Thus Polish GI-GII traverse team has settled on GI normal route, while Spanish trio will attempt seldom climbed GII South Spur. 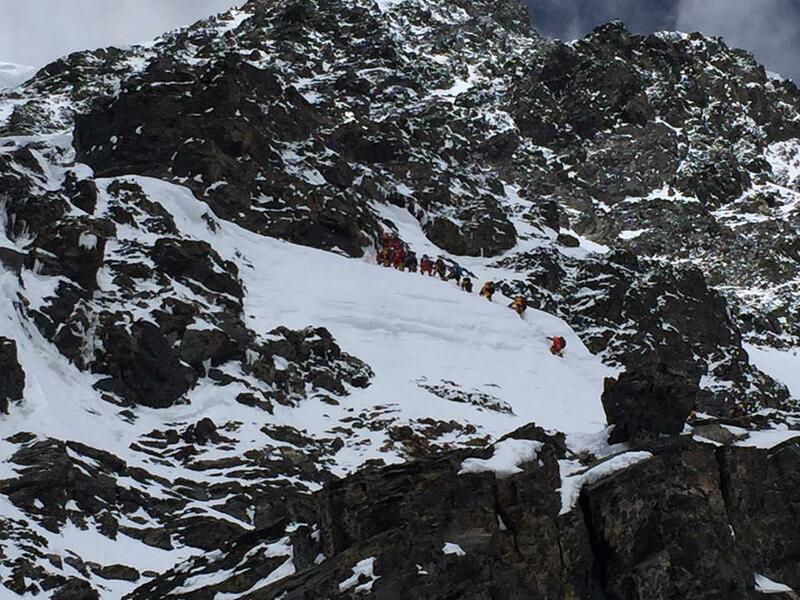 There are approximately two dozen climbers waiting for summit push on GII normal route. Three Poles left BC a couple of days ago. “Temperature is above zero. Forecast of snow turned into rain. It’s terrible. 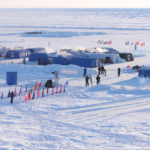 Waiting for forecast.” The team messaged after crossing the glacier and reaching the base of GI. They also report of new lakes formation on glacier and snow bridges collapsing due to warm weather. They are the only climbers on GI normal route. 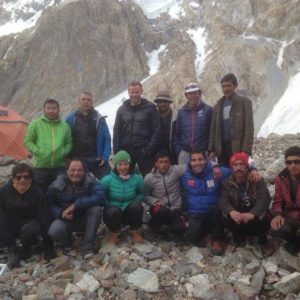 GII climbers are apparently still in BC, and are expected to launch summit push in a day or two. Lastly, Czech GI SW Face climbers Márek Holeček and Ondra Mandula just arrived at BC few days ago. 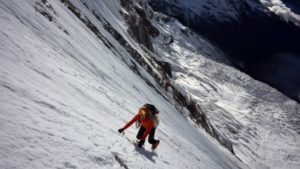 They will go for acclimatization, before alpine style new route attempt. 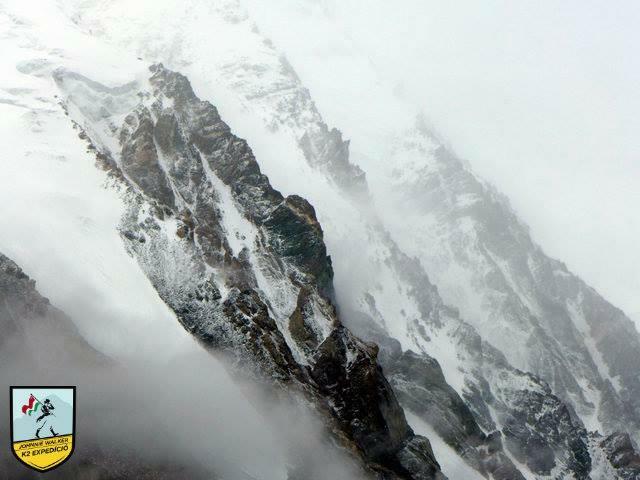 No further updates are available about GIV climbers. 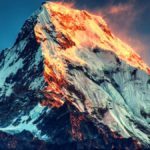 Another big summit attempt is expected on K2 later this week. 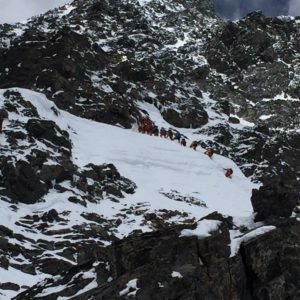 Apart from a few climbers like Spaniards Martín Ramos and Jorge Egocheaga who have left the mountain, all of remaining 100+ climbers are waiting for mountain slopes to release excessive snow in next couple of days and weather forecast for a definite summit window to launch summit push. “We’re waiting for the sun predicted to be out tomorrow (Wednesday). In the mountains, there’s a rule that after snow (a meter down here! ), it takes three days for it to settle. We also want avalanche risk to decreases. 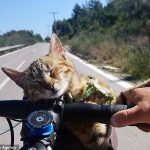 For now, the favorable weather window runs until July 23rd; fingers crossed that it stretches to 26th.” Canadian climber Serge Dessureault wrote yesterday evening.